Carolina Septic Pro of Cleveland, NC, does septic tank inspections, installations, maintenance, and other services. 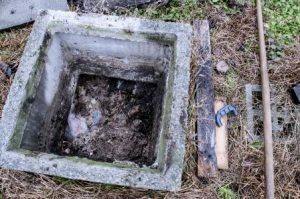 What are some common septic tank problems people experience? First, there’s tree root damage to septic tanks. As you know, tree roots can grow to the point where they’re interfering with things like your sidewalks, your foundation, and… your septic tank. Even if they don’t somehow penetrate the walls of your tank, they often can interfere with pipes leading from the house to it. Next, there’s the issue of ground movement. Say your area experiences an earthquake or a deep freeze or some other event whereas the ground literally moves. Pressure is put on the septic tank and it is not indestructible. Sometimes fractures or cracks can happen in its walls due to ground movement. Pressure from water moving underground– underneath the tank– can also cause a tank to shift out of place, which could lead to damage such that it’s not doing its job as intended. Also, a common problem with septic tanks is neglect. Perhaps yours is very old. It hasn’t been maintained over the years. Or it has never been cleaned/emptied out. Maybe it was installed incorrectly, but no one has taken the time to notice this, and therefore it hasn’t been working properly for a long time. There are a whole host of problems that can occur when septic tanks are neglected over the years. They really do need to be checked and maintained. You might have a septic problem if your toilets and drains seem like they’re clogged, “backing-up,” and/or are bringing up sewage. Are there puddles in your basement? Is there an obnoxious odor outside, above where the tank is buried? Call Carolina Septic Pro at 704-626-6622 when you’d like your septic system checked to make sure it’s working well– or to find out if it needs repairs or replacing.